A few months back I was asked by Miss. D from "Reading with Miss. 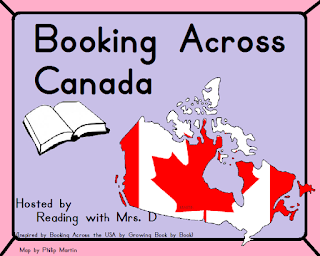 D" to participate in her Booking Across Canada project. I, of course, gladly accepted! Participants from nearly all provinces and territories have signed up to share a book featuring their province/territory and a lesson they've created inspired by that book. For now, you'll have to be patient. On June 1 I'll post my lesson plan, a freebie to the first 10 who respond and a free lesson idea!